Climhazzard (クライムハザード, Kuraimu Hazādo?) is a recurring attack mainly used by the Knight class, though it originated as a Limit Break for Cloud Strife in Final Fantasy VII. Its appearances are almost directly related to the appearance of the character himself. ClimhazzardClimhazzard makes its debut as a Limit Break for Cloud. It is the second LEVEL 2 Limit Break, learned after using Blade Beam seven times. It inflicts 4.375 times damage more than normal to a single opponent. Cloud uses this ability in the movie with the help of his friends to defeat Bahamut SIN. Climhazzard is a skill in Beatrix’s Seiken and Steiner’s Sword Arts skillsets that deals major non-elemental damage to all enemies, dealing twice as much damage as normal physical attack. It costs 32 MP to use, takes 70 AP to learn, and it is learned from either Excalibur or Excalibur II. 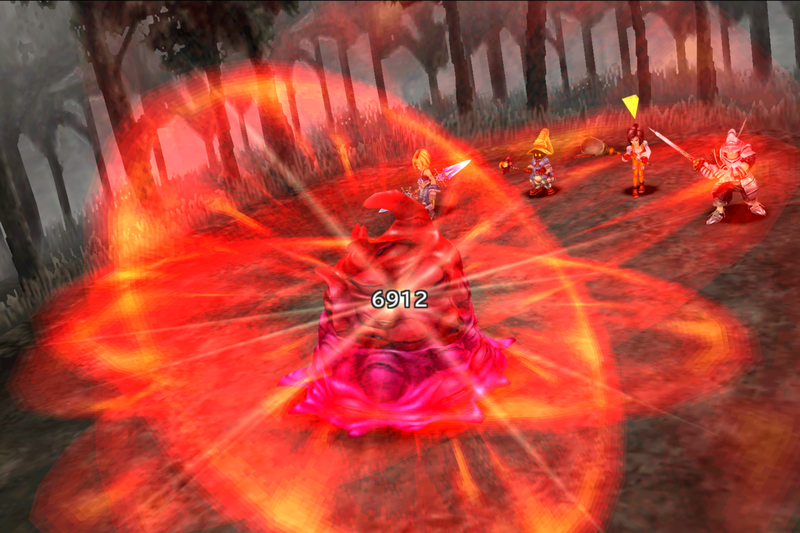 The damage of the attack increases as the character’s Spirit stat increases. The skill is magical in nature and will take on the element of the equipped weapon. An ability called Climhazzard is available to Beatrix during the final boss fight with her. Instead of dealing major physical damage based on her attack power, it reduces the entire party’s HP to 1. Climhazzard is a Limit Break for Soldier, better known as Cloud, and can only be used if he is equipped with the Materia Blade. It inflicts damage to the target equal to the total amount of damage the target has already taken, has a range of 2, effect of 1, and speed of 15. It takes 450 JP to master. Climhazzard returns as a Bravery attack for Cloud, which can only be used on the ground. Cloud charges forward to stab the opponent, then leaps into the air and slams them into the ground. It takes 120 AP to master and can be equipped for 30 CP. Cloud knows Climhazzard initially. Both parts of Climhazzard can also be used by Bartz. The charging stab is the first half of Climbarrel, mixing it with Squall’s Solid Barrel attack, and overhead slam is the second part of Slidehazzard, which combines it with Tidus’s Full Slide. Climhazzard returns with better range and tracking, but cannot be dodge canceled. Both Climbarrel and Slidehazzard are gone from Bartz’s repertoire. The first half of Climhazzard is instead mixed with Tifa’s Beat Rush to form Hazard Raid. Bartz no longer uses the second half of Climhazzard in any way. Climhazzard is a Legend ability used by Cloud.